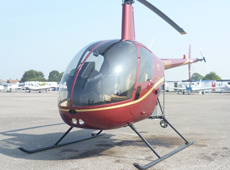 The Robinson R22 is a light, 2 bladed, single piston engine utility helicopter, derived by Frank Robinson as a “personal helicopter” it is now widely used worldwide as a training helicopter. Make it the best Valentine’s Day ever! !